OK I have a confession, I love my snacks and appetizers. I dont think it comes as a surprise to anyone.This list is so fantastic that I had to share with you. 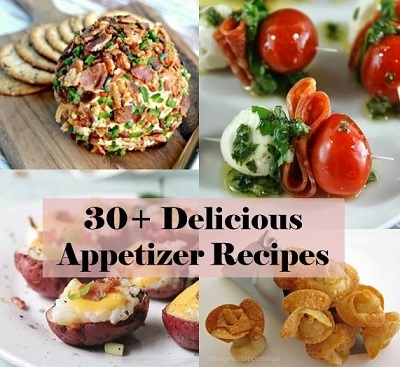 30+ Delicious Appetizer Recipes and trust me if I love this stuff so will you. Have a look through this list as I am sure you will find something to make for yourself today.